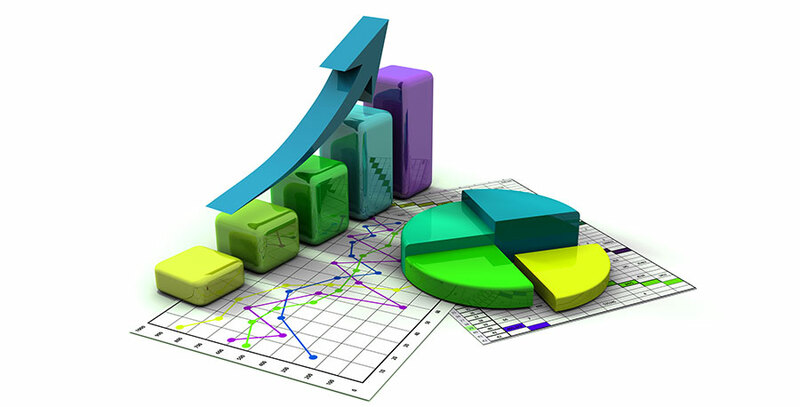 You must use special short codes [sam_pro_adv_name] and [sam_pro_stats_pane] on this page. These short codes will only work on this page and only after you register this page in the settings of the plugin. 1. Create new page (left admin sidebar: Pages->New Page). Set title for page (any which you like). Publish page. 2. Visit plugin’s settings page. 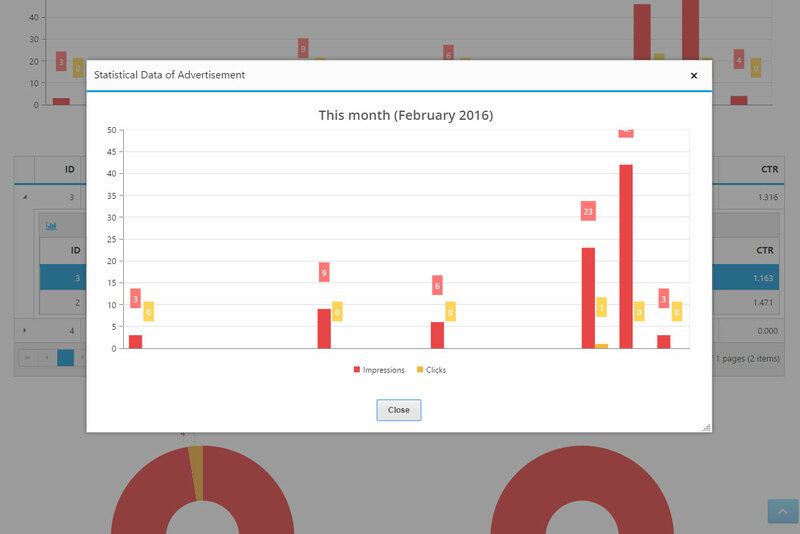 Set the created page as Advertiser Statistics Page. Save settings. 3. Return to the page editor. Type any text that you want. To enter special shortcodes use the drop-down menu of the button that appears in the toolbar of editor. 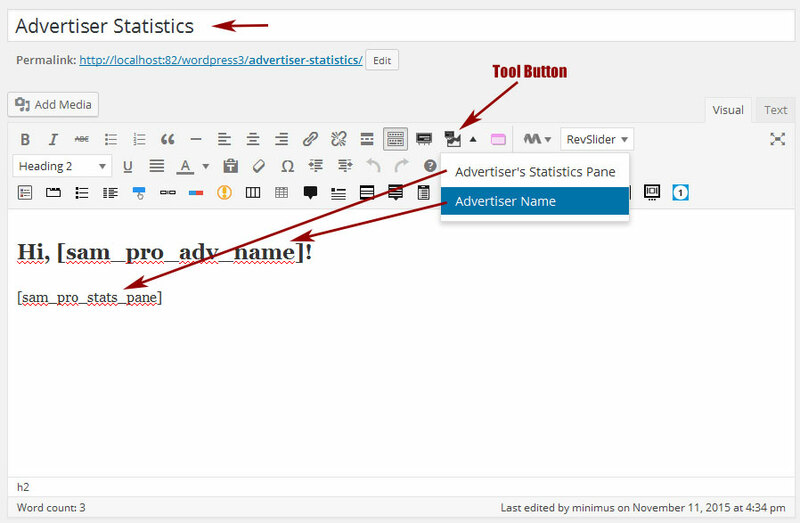 This button is available only when editing the Advertiser Statistics Page. 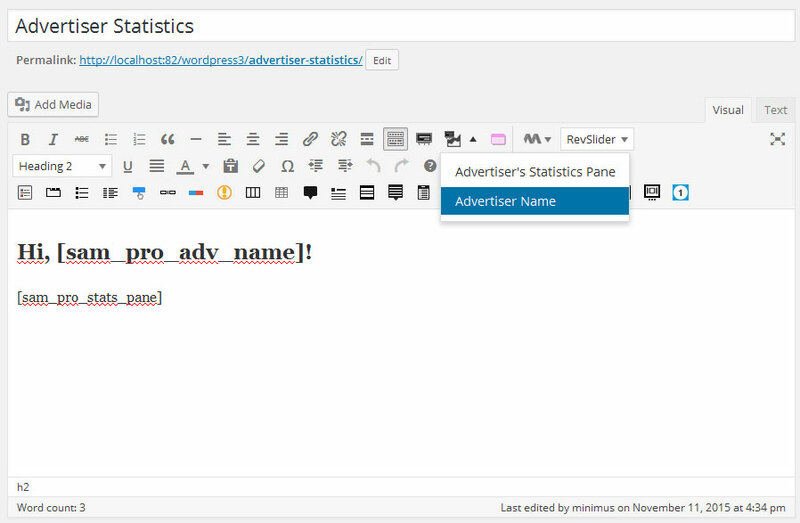 Do not use editor’s “Preview” button for testing Advertiser Statistics Page. Use button “Test Statistics Page” on the plugin’s settings page. This provides the testing with an proper options (your own data). 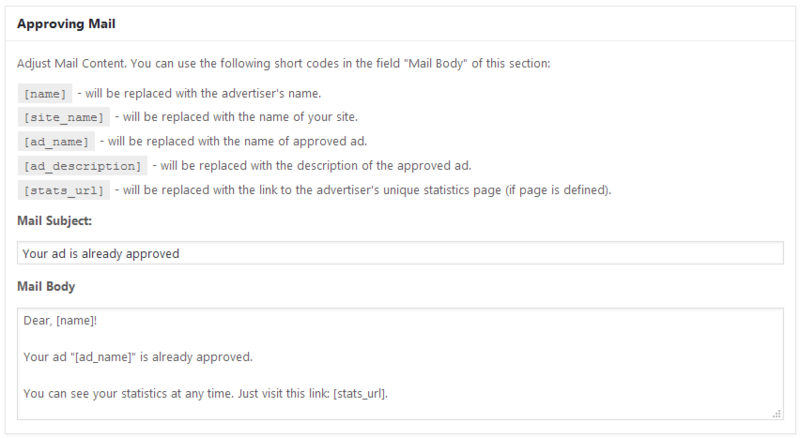 If you plan to sell your blog advertising channels only for national advertisers, you can translate strings of the Advertiser Statistics Page to your language. You can do this in the settings page of the plugin on the “short codes” tab. Every time you approve advertisements for use on your blog pages, the advertiser receives email from you with notifying him of this. 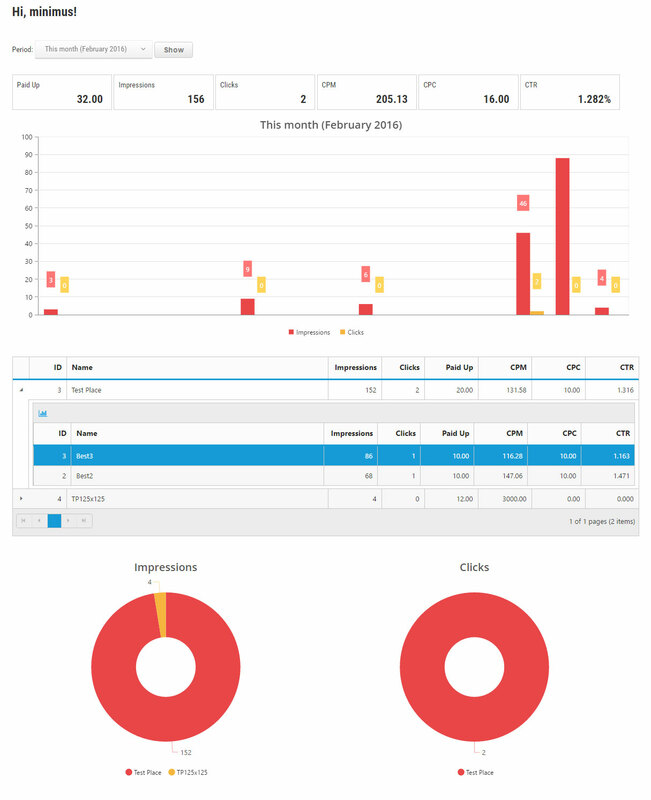 It will be the good idea to insert link to the his individual Statistics Page into this email. You can do it on the settings page of plugin, tab «Tools», section «Approving Mail». Note: The advertiser is defined by a pair of nickname and mailbox. Advertisers with the same nickname and different mailboxes are different advertisers. I’m not sure that this error somehow is related to my plugin. Sounds like you have a problem with creating pages (WP has not valid data to create permalink). Has this feature been eliminated, I ask because I cannot see these settings. I am inquiring because the mailers do not go out at then of the month anymore and it might be nice to just have a page they could periodically check. Thank you for such a great plugin I will get the pro version as long as this plugin will do what I need it to do. Hi! This feature is available only in SAM Pro Lite version of the plugin. 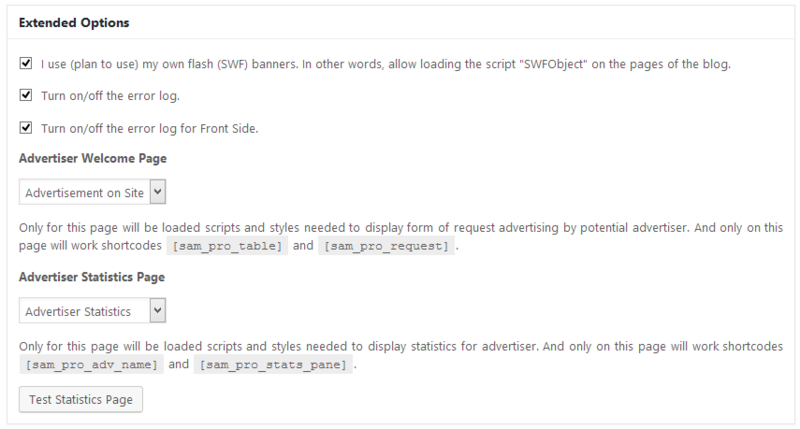 For obtaining this feature you should purchase SAM Pro Lite plugin or “Advertising Request” addon for SAM Pro Free.